Unless you’ve been living under a cardboard box for the last few weeks you’ve no doubt been struck by news reports of Metal Gear mastermind Hideo Kojima parting ways with Konami, his studio of residence for almost 30 years. To many observers the announcement hit like a monolithic rock plunging into the relative stillness of the videogame pond, of which the resulting ripples will undoubtedly be felt for some time to come. With the latest instalment in the Metal Gear saga – The Phantom Pain – ready to drop this September, the news casts some doubt on the future of the long-running series. Konami have expressed interest in developing further games under new direction, despite the franchise being the brainchild of Kojima himself. Unfortunately Metal Gear isn’t the only Konami project to suffer from Kojima’s pending departure, as the next game in the iconic horror series Silent Hill has been outright cancelled. 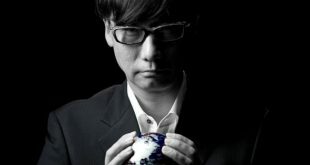 The game – titled Silent Hills – was to be a creative collaboration between Kojima and visionary Hollywood director Guillermo Del Toro, exclusive to Sony’s Playstation 4 platform. Silent Hills was canned whilst still in development, but the game had already achieved cult status with the terrifying interactive demo PT, which has subsequently been removed from the PlayStation Network. If the pervasive dread of PT were any indication of what to expect from Silent Hills itself then this is a most disappointing and premature end to the project, especially considering the enthusiasm of Sony Computer Entertainment’s Shuhei Yoshida; Speaking recently to Official PlayStation Magazine, the Head of Worldwide Studios for SCE had expressed his interest in bringing a similarly disturbing experience to Sony’s forthcoming Morpheus VR headset. We can only hope that the undeniably unnerving tone of PT manifests in a different form elsewhere under Kojima and Del Toro’s creative control. As of now Konami only has one game ready to release in 2015, the aforementioned Metal Gear Solid V: The Phantom Pain. What was once a mighty software house in generations gone by has grown quiet and brooding, with fewer and fewer console releases in preceding years. Analysts and other vocal observers speculate that with less revenue generated from developing games, Konami is simply evaluating its options regarding its more lucrative ventures in casino machines and running a series of health and fitness clubs. 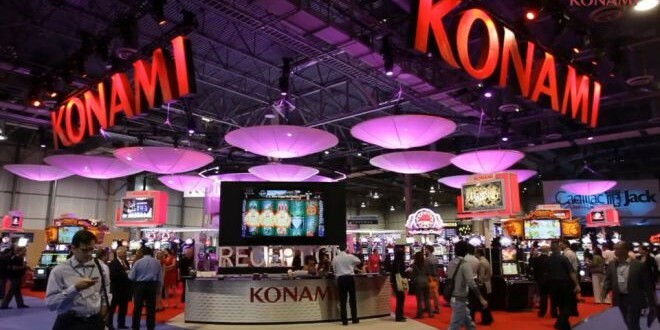 Konami’s business model originated with the manufacture of arcade and amusement machines after all, and the company must attend to its own interests in order to remain successful. FromSoftware have crafted arguably the greatest Castlevania experience for years in the form of PS4 exclusive Bloodborne, with its gothic architecture, sprawling connected world and macabre enemies. In fact, players have been drawing comparisons between FromSoftware’s games and the classic vampire-slaying series since the release of Demon’s Souls in 2009. 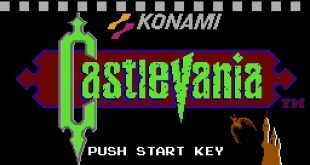 Whether you subscribe to the Bloodborne – Castlevania association or not, certain elements seem a little too inspired to be mere coincidence. Take the Threaded Cane starting weapon for instance; an unconventional weapon compared to the typical arsenal of Souls games yet its whip-like combat prowess is sure to satisfy the righteous bloodlust of Belmont fans everywhere. It’s said that imitation is the sincerest form of flattery, yet the commercial success of FromSoftware’s latest should ensure the new masters of gothic adventure can afford to take the helm of that most prestigious of vampiric sagas. Metal Gear is a name that immediately conjures conceptions of linear plot-driven sneaking, fourth-wall breaking existentialism and larger-than-life characters. The games are renowned for the unmistakeable personal touches of creator Hideo Kojima, but those inimitable flourishes will be absent from subsequent instalments following his departure. Perhaps it’s not an entirely bad thing, as Platinum’s Metal Gear Rising: Revengeance has already proven the franchise can successfully switch genres under the supervision of competent developers. A fresh approach without Kojima’s bombast could rejuvenate the series, perhaps even attract new players previously daunted by the franchise’s lengthy exposition. Personally I’d like to see how a studio with the credentials of Rocksteady handle Metal Gear. The team have already struck a perfect balance of stealth, combat and gadgets with their successful Batman series, and their evident respect for source material should reassure the Metal Gear aficionados. When Silent Hill first reared its ugly head, many drew comparisons with Capcom’s popular Resident Evil series. Survival horror was still developing as a category, mostly defined by Resident Evil’s camp action and jump-scares. With Silent Hill, Konami helped establish the breadth of the genre by approaching the fear factor differently. The atmosphere was oppressive, and jump-scares were largely replaced by perpetual feelings of disarray and dread. Resident Evil might have granted players some small sense of empowerment with combat-trained protagonists, but Silent Hill amplified the tension by casting gamers as a hapless soul who couldn’t even shoot straight. With development of recent games outsourced to third-parties the series lost its unique eeriness, aiming instead to emulate the formula of games like Resident Evil 4 and Dead Space. A studio like Telltale Games – who place emphasis on story-telling and immersion over action – could capture the essence of a subtle atmospheric narrative, whilst inherently maintaining that classic Silent Hill staple of multiple endings. The Rocket Knight games remain relics of a bygone era, and have consequently failed to regain the status they once enjoyed on the Sega Genesis and Super Nintendo. For those who may not recall the series, the Rocket Knight games are very much a product of their day. Sparkster – the titular Rocket Knight – is an anthropomorphic steampunk opossum, who wields sword and jetpack in his quest against the tyranny of the pig-like Devotindos Empire. Konami attempted to revive the series with an Xbox Live Arcade release in 2010, but unfortunately the game failed to propel Sparkster’s legacy to new heights. However given the current gaming climate’s penchant for all things retro and indie, it seems there couldn’t be a better time for the right team to return the knight-errant to the skies. Capable developers such as Klei Entertainment or Double Helix could doubtlessly create a rich experience worthy of the franchise, but ideally I’d like to see Yacht Club Games at the helm. Having provided an acclaimed old-school adventure with their debut title Shovel Knight, I’d be eager to see just how authentically the studio could replicate the former glory of that other chivalrous hero. I’m keen to reiterate that this article is purely speculation and simply for fun. These are just a select few of the various Konami properties I would personally like to see given a fresh lick of paint or approached from a new angle. There’s many more franchises I haven’t mentioned but I’d like to leave that to you folks. I’m sure you all have fantastic ideas of your own and I’d love to read some of them in the comments section below. Happy speculating!